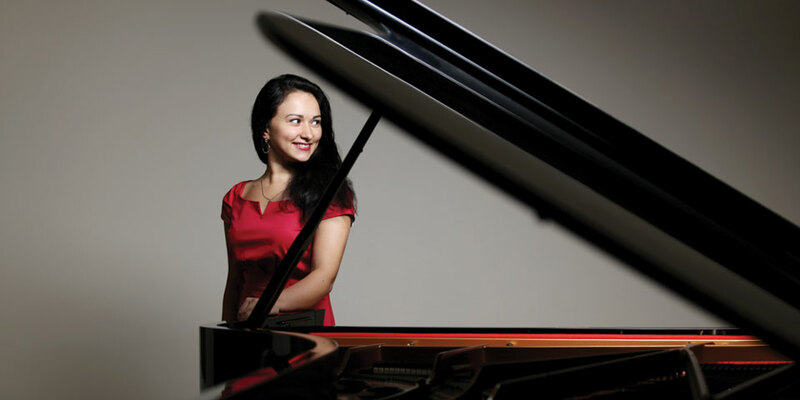 Born in Ukraine, Dinara studied at the Moscow Central Music School and then the Moscow State Conservatory, gaining a Graduate Diploma with Honours. Dinara was awarded a Master of Performance degree at the Royal College of Music and has completed the Artist Diploma in Performance. She has gone on to win more than 15 prizes, including competitions in the USA, Brazil, Poland and Italy and has performed widely around the world, including the Royal Festival Hall, Wigmore Hall and The Berlin Philharmonic. Her first two CDs (Chopin and Liszt) received widespread praise internationally.